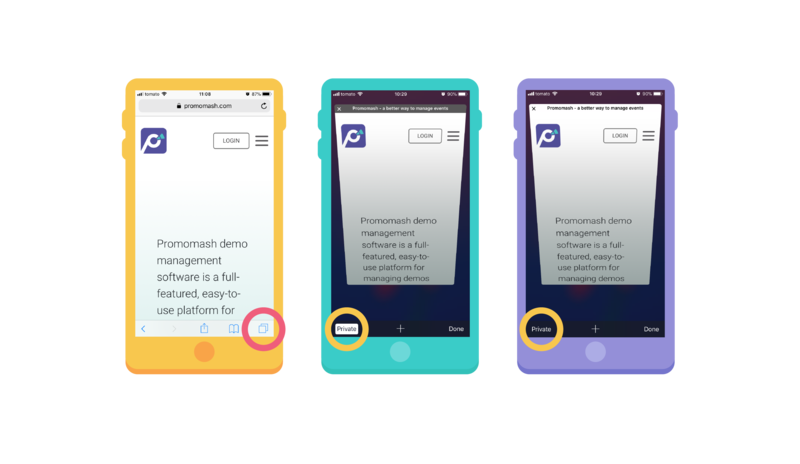 Private Browsing protects your personal information, however will block some websites including Promomash. In Private Browsing, Safari also won't remember the pages you visit, your search history or your AutoFill information. As a tip, while Private Browsing is on, Safari appears black or dark instead of white or gray.